The name is familiar except you are new around here. Gabriel Afolayan has been a prominent actor and has taken parts in countless soap operas on TV and home videos but he shocked many recently when he released a love song titled 'Kokoro ife'. The release of the song has been dubbed a commendable one from the first timer; known for his role in movies. Gabriel who is under Studio 6 is determined to prove a point and go beyond borders with his 'Kokoro ife' love song which will be followed by a new single and an already made video shortly. Ace producer Masterkraft made the beat. The song is a single off his yet to be titled album. 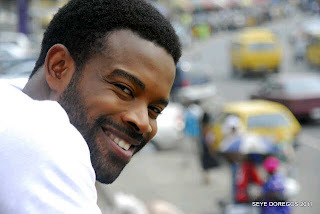 Gabriel Afolayan who is also known as G-Fresh however is not bidding his acting career farewell. On Saturday, he bagged the ‘Best Actor in a Supporting Role’ and The ‘Rising Star’ awards in the highly rated Nollywood Movies Award (NMA) and 'Most Promising Actor'award at the 'Yoruba Movies Academy Awards' in Abeokuta, Ogun State the next day. The theatre arts graduate of the University of Ibadan has featured in several movies and soap operas including a supporting role in 'Ghetto Dreamz', the movie that spotlights the life of Dagrin the late rapper and Tade Ogidan’s ‘Madam Dearest’.